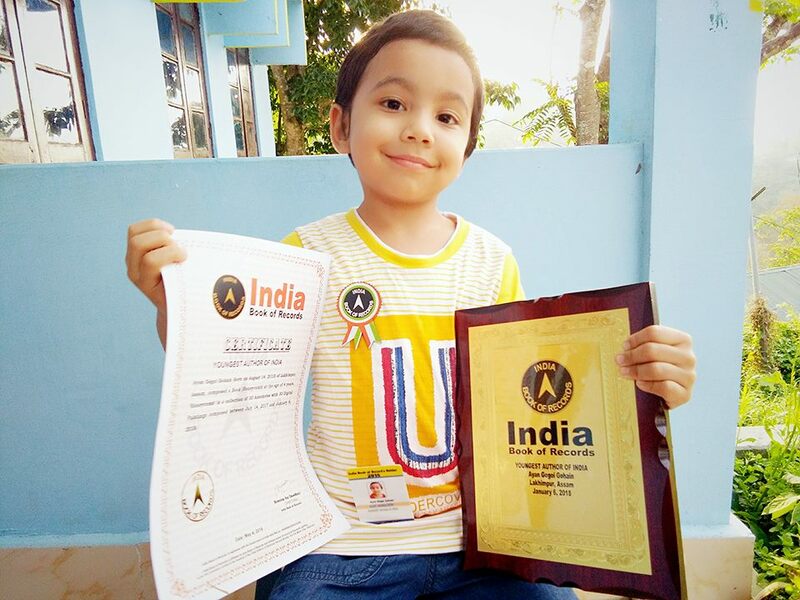 In an outstanding feat, Ayan Gogoi Gohain, a four-year-old kid from Assam, has officially been declared the ‘Youngest Author in India’ by the India Book of Records. Ayaan is a KG-2 student and has been awarded the title for his book Honeycomb published by Authorspress Publications, New Delhi. Honeycombis a collection of 30 insightful anecdotes alongside thirty beautifully illustrated images by the child prodigy. Quick-witted, self-serving and sensitive, Ayan started painting at the age of one and began composing stories at the age of three. The book has been well reviewed by veterans of the literary filed such as Dilip Mohapatra who is a decorated Navy Veteran from Pune and an author and poet of international repute. Ayan is the grandson of Purna Kanta Gogoi, former Director, RESTI, North Lakhimpur, and Janoki Saikia Gogoi, government official. He is the only son of Jitu Gohain, DM, Power Grid Corporation of India Ltd. and Sangeeta Gogoi, yoga therapist and Director, Meraki Yoga Retreat Center.